While Ellen of Kokerellen turned her batch into a Rhubarb Cake. Myriam of Hap n Tap continues to inspire us all – and this time makes a Rhubarb syrup to accompany a Mousse! And finally – Greg of Cook n Roll has a delicious Rhubarb Chutney to share with you! 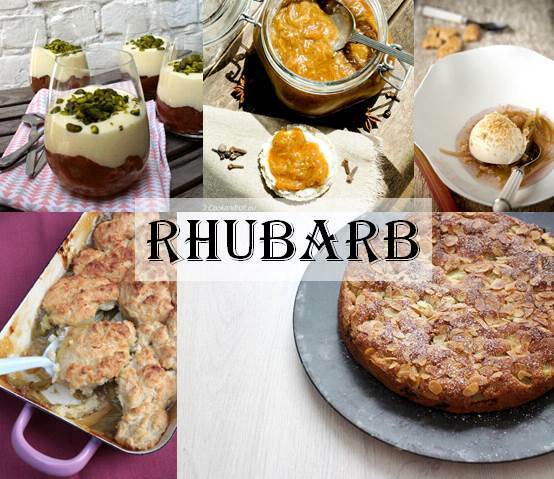 Do you have a rhubarb recipe that you wish to share with us? Just add the link to the comments section below! Yum… that sounds like a tart that we would love!